Whether it was writing an essay for uni!!! Or sending an email for work!!! Or even texting my friends!!! 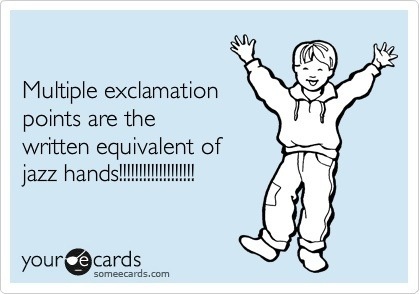 ….Apparently I use too many exclamation marks!!! My uni lecturer said that I would end nearly every paragraph like I was a bad journalist. 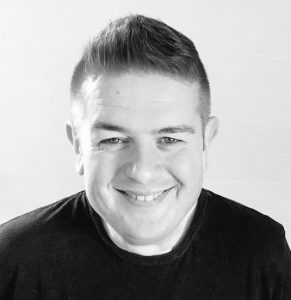 Several marketing directors have tried to reign me in, even making me run internal newsletters past them so that they could de-exclaim me!!!! Even my close friends have warned me that not every message needs to be sent with such enthusiasm. I guess they may have a point!!! I don’t even know where it came from so I started to research whether this was a peculiar problem to me or if there was some kind of support group that could help me kick my addiction!!! And then I stumbled upon this and everything became clear!!!!! !